My manicure game is confusingly, disappointingly inconsistent. My nails are either long and curved like a prowling cat’s claws, or they’re a keratin graveyard of cracked and broken nubs. My solution for what is likely an easily addressed problem is not regular upkeep or professional manicures or anything that would involve personal responsibility on my part. No, my solution is to cover up the mess with a slapdash coat of polish and pray that no one looks too closely. 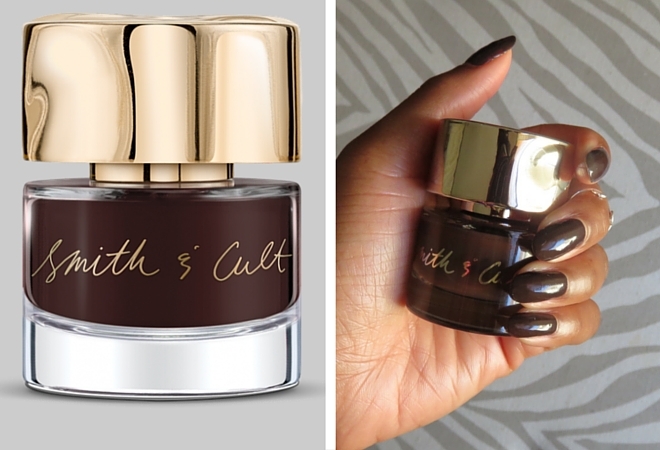 Enter Smith & Cult, another addition to the world of luxury nail brands. Touted as a 5-Free formula developed by the founder of Hard Candy, it’s supposed to be the high performance version of vernis à ongles. I stopped by Mitchell’s to pick up a bottle of Nailed Lacquer in Lo-Fi, hoping that the espresso shade would distract from my mangled cuticles. Once I got to work with the relatively short brush (the gold top comes off for easier maneuvering), it took the usual three coats + topcoat to get the desired opaque finish. After a week of typing, cleaning, and an embarrassing run-in between me, my bike, and a parking meter that I swear came out of nowhere, it held up as expected, with just a few small chips. Interestingly, the minor chips turned into a major eyesore during a most mundane task: washing my hair. 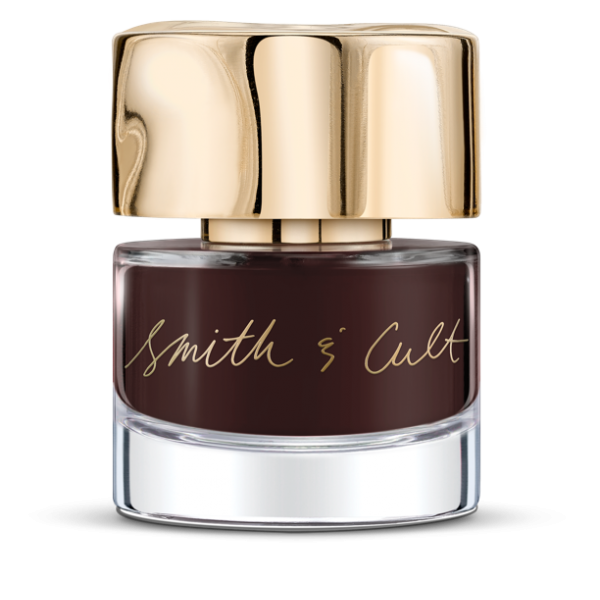 Smith & Cult’s polish is (unnecessarily?) expensive compared to my usual two-dollar NYX from Walgreens, but the names alone make it worth a browse. Who wouldn’t want shades like Check the Rhyme, Tenderoni, and Gay Ponies Dancing in the Snow at their fingertips? To get your cuticles and nails to the best they’ve ever been, you should check out Bliss Kiss cuticle oil. Her formula is amazing and she has the science to back it up. My nails drink up this oil. Good to know, I’ll check this out! Those nails are looking awesome girl … will have to try this product myself!